1. 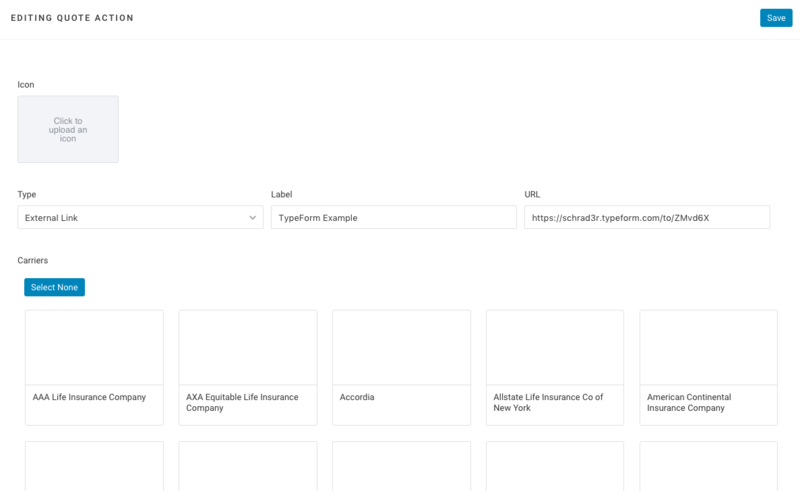 Go to https://www.typeform.com/ and create an account. For what we will be doing, you will need a Pro account. 3. Once confirmed, login to your TypeForm account. 4. 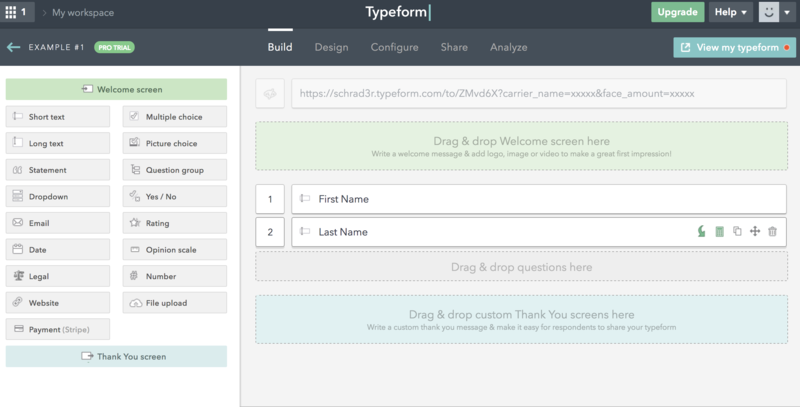 Once logged in, click "Create a new typeform". 5. You can either start from scratch or use a template provided. For this tutorial, we will use a blank form. 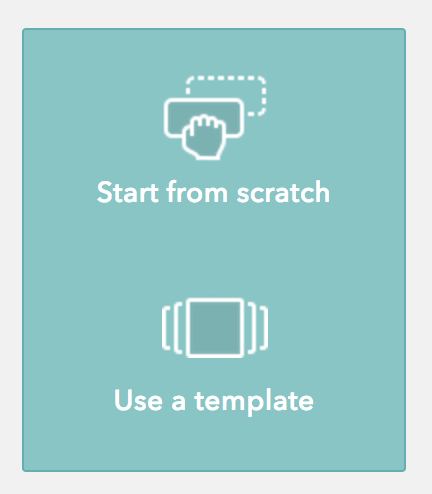 Click "Start from scratch". 6. 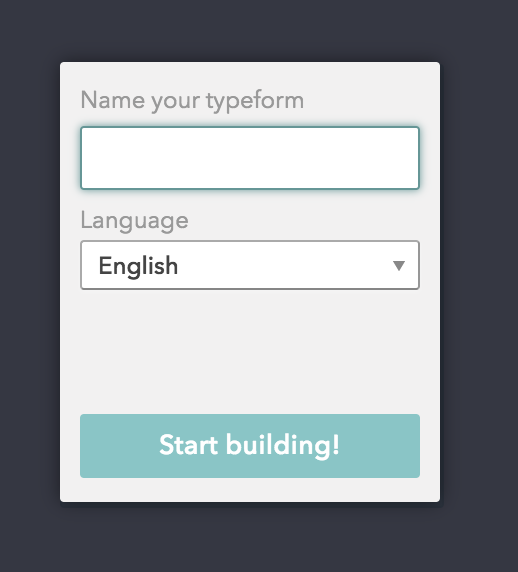 In the field under "Name your typeform", name your form! It can be whatever you like, but we will name our form "Example #1". Click "Start building!" when you are ready. 7. Lets add some fields! There will be two types of fields we can use, visible fields and hidden fields. 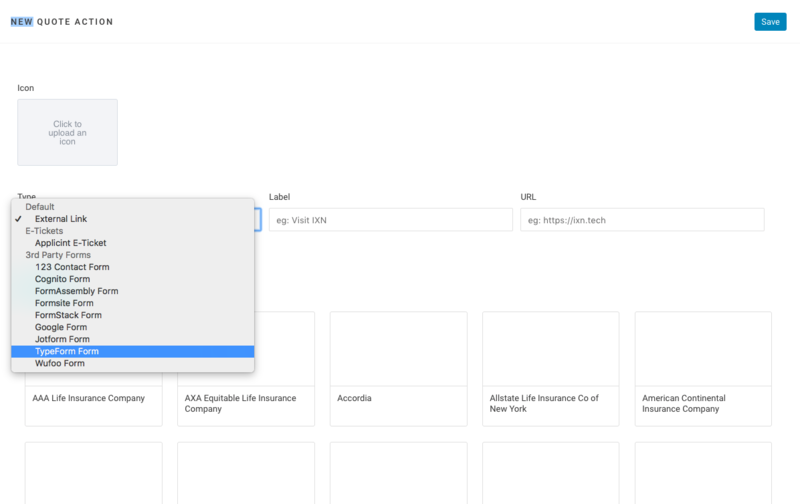 Visible fields are fields that will be visible to the user and will need to be filled out. 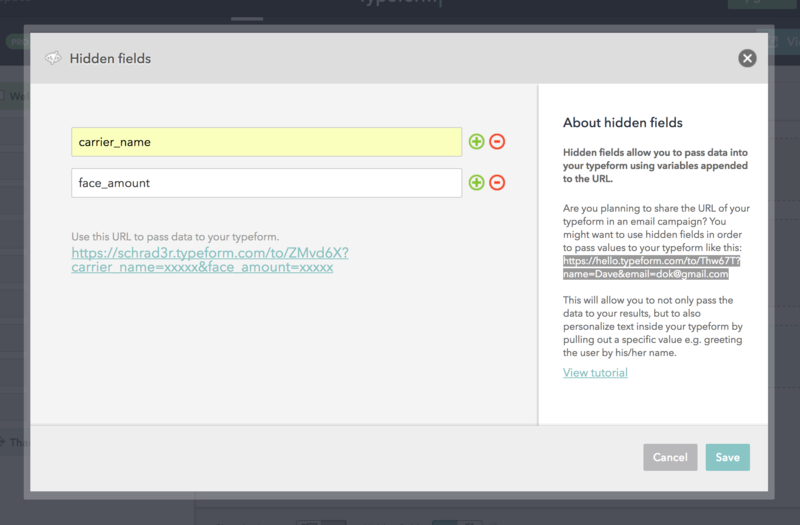 Hidden fields will not be seen by the user, but there will still be data passed to that field. First, lets start with a few hidden fields. Turn on "Hidden fields" at the bottom of the screen. 8. The screen below will appear. Type in the field names you would like to include (more options are listed in the chart below). We will use "Carrier Name" and "Face Amount". To add more hidden variables click the green plus sign. Click "Save" when you are done. 9. Now let's add some visible fields. Drag and drop "Short text" from the left side of the screen to where it says "Drag and drop questions here". Once you do so, a screen will appear that allows you to edit your field. In the empty box under "Question" name your field. We will name our field "First Name". When you are done click "Save". 10. Repeat step 9, except name the field "Last Name". 11. Click "Share" near the top of the screen. You will see the screen below. Click "Copy" to copy the URL listed. Highlight and copy the finished URL! 15. Type in your email and password, then click "Login". 20. On this page we will edit the type, label, and URL. 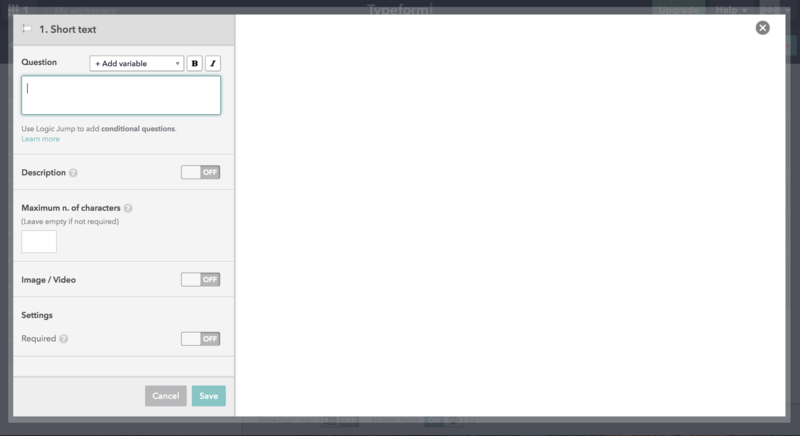 First click the dropdown field under "Type". 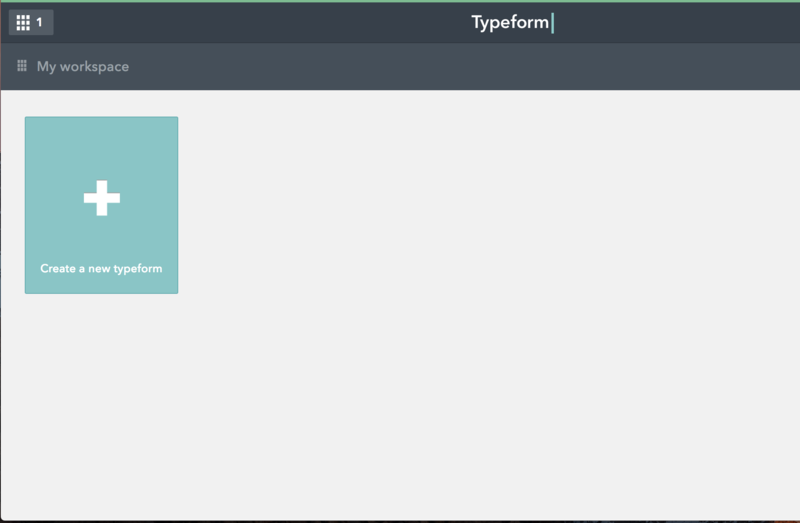 Select "TypeForm Form". 21. Next click on the field beneath "Label". Here you will name your quote action. It can be whatever you like. We will name our quote action "TypeForm Example". 22. Now we will paste the URL we just finished altering into the field beneath "URL". When you are done click "Save". 23. Now go to your product to run quotes! Enter the quote information and click "View Quotes". For this tutorial we will use generic information. 24. Once you click on a quote, you will see a green menu bar that lists any quote actions you have created. We named our quote action "TypeForm Example" so we will click on that. 25. A new page will open that has the form we created! You will notice you can only see the visible fields. Fill those out, and click "Submit" to submit the form.